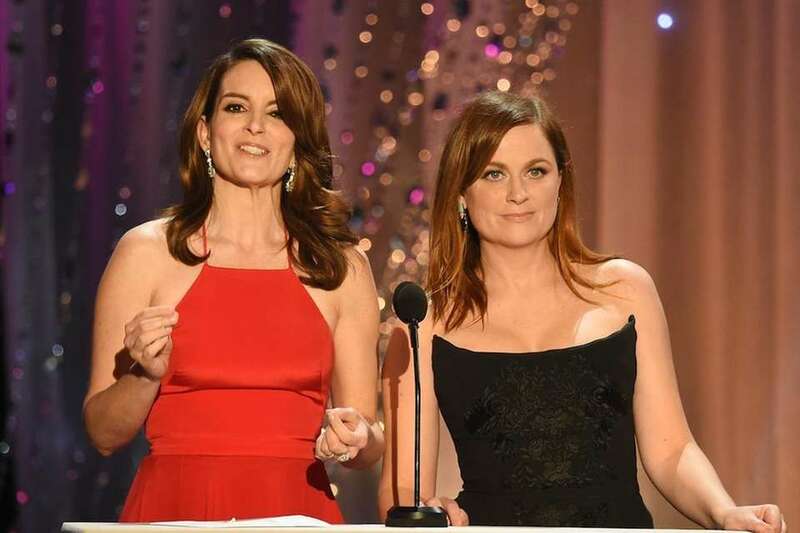 Many famous sets of BFFs have lasted decades (looking at you, Amy Poehler and Tina Fey), while others have fizzled out or ended with a feud (see Kanye West and Jay-Z). Take a look at celebrities who are best friends, or were at one point. 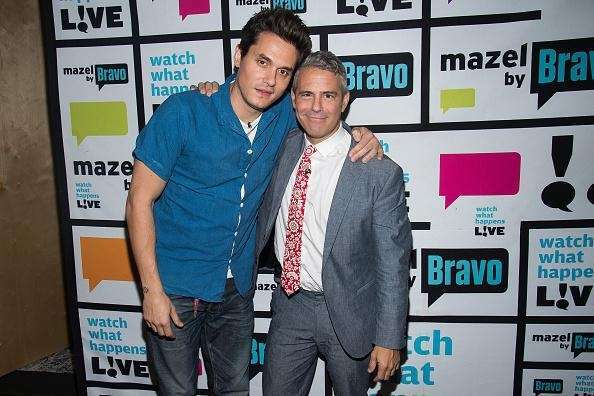 'Watch What Happens Live' host Andy Cohen and 'Love on the Weekend' singer John Mayer BFFS bond over the Grateful Dead and post pictures of each other on Instagram often. Mayer had many shoutouts in 'The Andy Cohen Diaries,' and Cohen has spent time at Mayer's Montana house, according to bravotv.com. Cohen even travelled to Brazil to celebrate Mayer's 40th birthday and attend shows on his 'Search for Everything' tour, Cohen posted on Instagram on Oct. 20, 2017. This unlikely pair met when Snoop Dogg made a guest appearance on Martha Stewart's cooking and talk show, "Martha," in 2008. According to People, Stewart expressed that she wished she were better friends with the rapper during online forum discussion in 2014 and got her wish when the two reconnected in 2015 for the Comedy Central Roast of Justin Bieber. 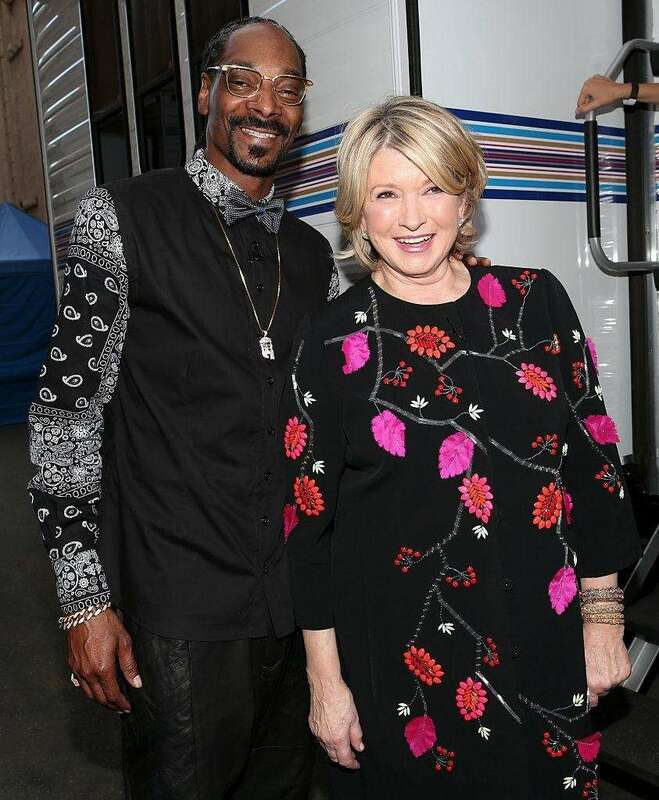 They now co-host a cooking and talk show on VH1 together, "Martha & Snoop's Potluck Dinner Party." In 2014, Mindy Kaling's character on "The Mindy Project" created a Christmas wreath featuring photos of Reese Witherspoon, which she dubbed a "Wreath Witherspoon." It wasn't long before Witherspoon caught wind of it, reposting it to her own Instagram. Ever since, the two have been spotted getting lunch together and sightseeing in New Zealand. Witherspoon even signed on to the final season of Kaling's show and the two worked together on an upcoming Disney film, "A Wrinkle in Time." Kathy Griffin's closest celebrity friendship is with news anchor Anderson Cooper, her co-host on CNN's "New Year's Eve Live." After Griffin was photographed holding a prop of a bloody, severed head of Donald Trump, Cooper was quick to denounce it as inappropriate and she was let go from CNN's program. However, Cooper told Andy Cohen during his "Watch What Happens Live" that the two remain good friends. 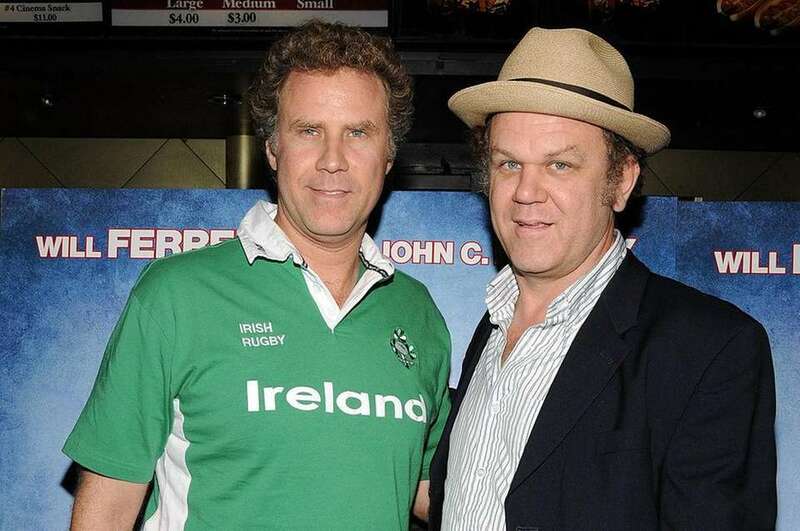 Will Ferrell and John C. Reilly met while filming "Talladega Nights: The Ballad of Ricky Bobby" in 2006 and have teamed up for multiple films since. 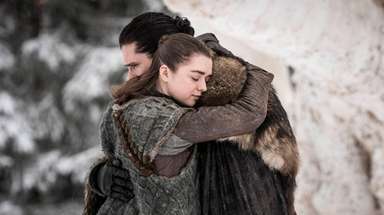 Most notably, they starred together as feuding siblings in "Step Brothers," and have often been spotted together at sporting events and film festivals. In an interview with U.K.'s Metro, Reilly said they "just really hit it off" and that he feels "like I've known him since we were kids." 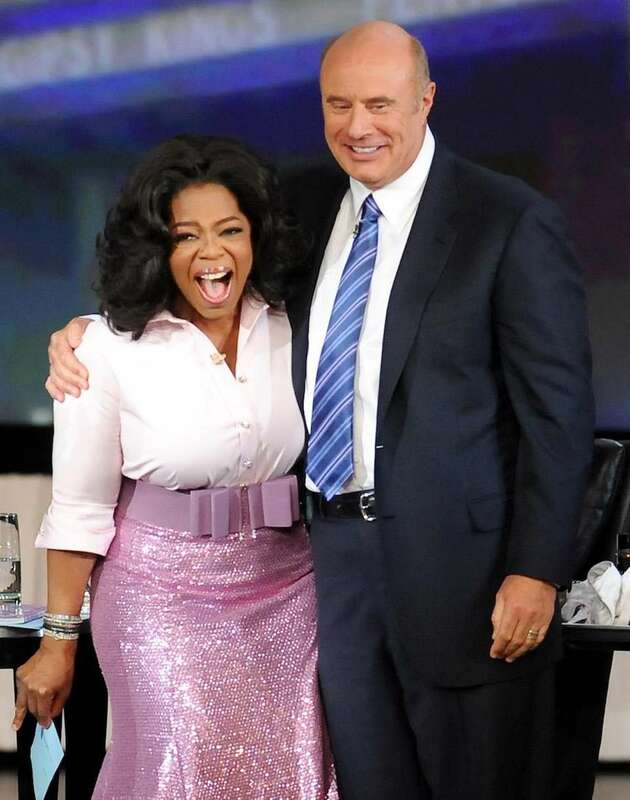 According to ABC news, Phil McGraw first came on "The Oprah Winfrey Show" in 1998 and then began to appear in a regular weekly segment to offer relationship and "life strategy" advice. In 2002, McGraw started his own daily talk show, "Dr. Phil," produced by Winfrey's Harpo Studios, and despite reports of fallings out, the two reunited in 2015 on the show for a rare interview in which they reminisced about their 20-year friendship. "You allowed me to see a deeper part of myself," Winfrey said to McGraw during the interview. 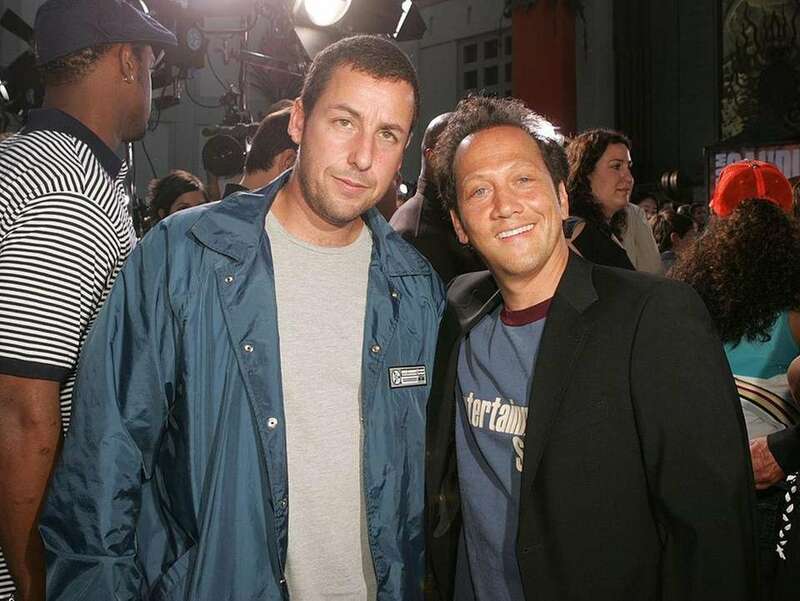 Adam Sandler and Rob Schneider met when they were co-stars on "Saturday Night Live" in the '90's and became inseparable. 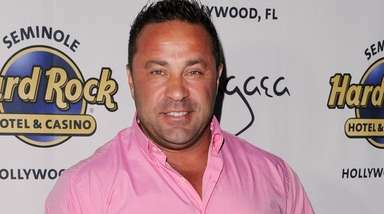 In fact, ever since Sandler began producing movies with his own production company, Happy Madison Productions, Schneider has had a role in nearly every movie. Most recently, the two appeared in Netflix's "Sandy Wexler" together. "Charlie's Angels" co-stars Drew Barrymore and Cameron Diaz go above and beyond friendship; they often refer to each other as sisters, and 20 years after the film's premiere, they're still close. Barrymore wrote a heartfelt Instagram post on July 14, 2017 "...Remember to spend a moment with the ones you love in your busy life," with a photo of her and Diaz. "She has made me feel beyond beautiful. Always has. Always will. #thankgodforyourfriends. 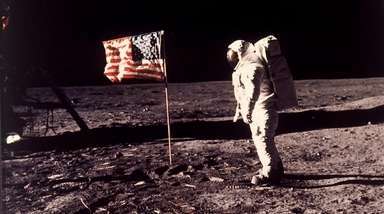 They rejuvenate and confirm everything." Selena Gomez and Taylor Swift have been friends since 2008, when they were both dating the Jonas Brothers (Gomez dated Nick Jonas and Swift dated Joe Jonas). In multiple interviews, they've said they view each other like "sisters" and keep in close contact. Gomez also starred in Swift's music video for "Bad Blood," the origin of Taylor's ever-changing "girl gang." 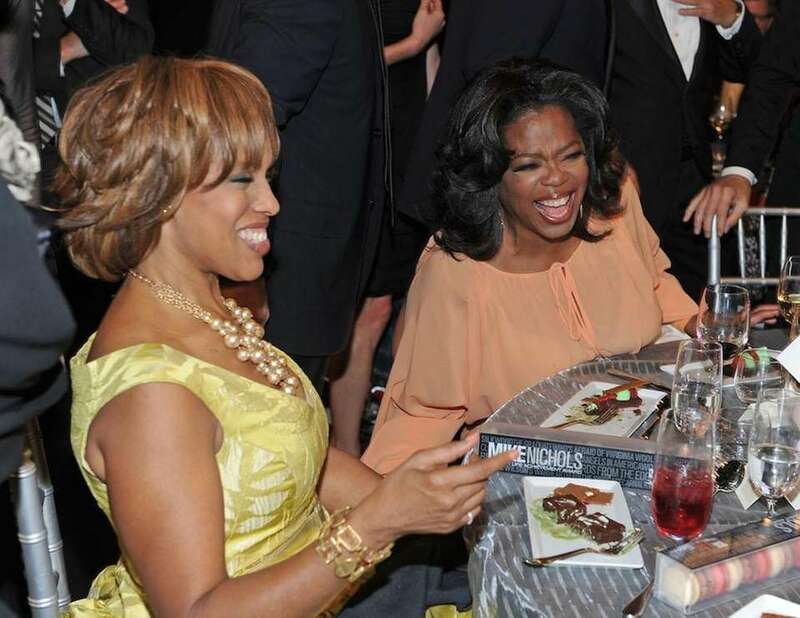 Gayle King and Oprah Winfrey might have one of the most iconic friendships of all time. The pair met when they worked at a TV station in Baltimore in their 20s. "We didn't really know each other," King told the Huffington Post in 2015. "But she was just that kind of girl even then. When I said didn't have any clothes with me, she said 'you can wear mine,' and when I said I didn't have any underwear she said, 'you can borrow mine, it's clean!" The duo have worked together for almost 40 years, showing nothing but love and affection for each other. Queen B? More like Queen Three! These ladies have been dancing and singing their way to fame since their Destiny's Child days (think hits like "Survivor" and "Say My Name.") While Knowles, Rowland and Williams separated and developed their own solo careers, the group is still close: "Friendship is the foundation of everything we do -- no drama," Williams told ET Online. "People are looking for drama but we have none to give you. It's literally friendship and sisterhood and respect." Friends who roast together, stay together: Seth Rogen and James Franco are best "buds" on and off-screen. The pair have together starred in "Pineapple Express," "This Is The End," "The Interview," and "Sausage Party." In 2017, the pair released "The Disaster Artist," a parody of Tommy Wiseau's infamous film, "The Room." 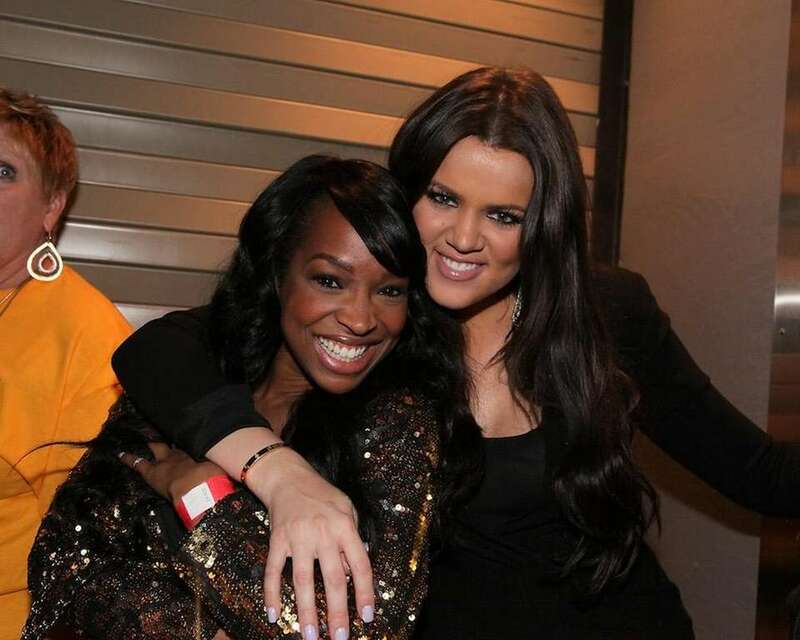 Malika Haqq and Khloe Kardashian have been best friends since the age of 15. While these two have their fair share of arguments on "Keeping Up With the Kardashians," ( fighting about boyfriends, etc.) it seems like they'll never stop being BFFs. After the "Jersey Shore" besties wrapped up their first reality show, they moved on to their own, "Snooki & JWOWW," which premiered in 2012. and, naturally, Polizzi and Farley's daughters are best friends, too. "The girls are best friends," Polizzi told E! "They will grow up together, they're probably going to kill us, do what we did, but we're prepared." Zac Efron and Ashley Tisdale grew close on the set of "High School Musical." On Efron's last birthday, Tisdale celebrated with a picture of them from their HSM days: "Happy birthday buddy!" tweeted. "@ZacEfron you will always be the Troy to my Sharpay. ❤️ you brother!" "Friends" until the very end, Jennifer Aniston and Courteney Cox grew close on the set of the 1994 comedy series. After the show ended, Aniston starred in Cox's "Cougar Town" and "Dirt." "I've slept in her guest bedroom a lot," Aniston said in a 2014 interview with More. "Without giving away too much of my private stuff, all I can say is she's been there for me through thick and thin." 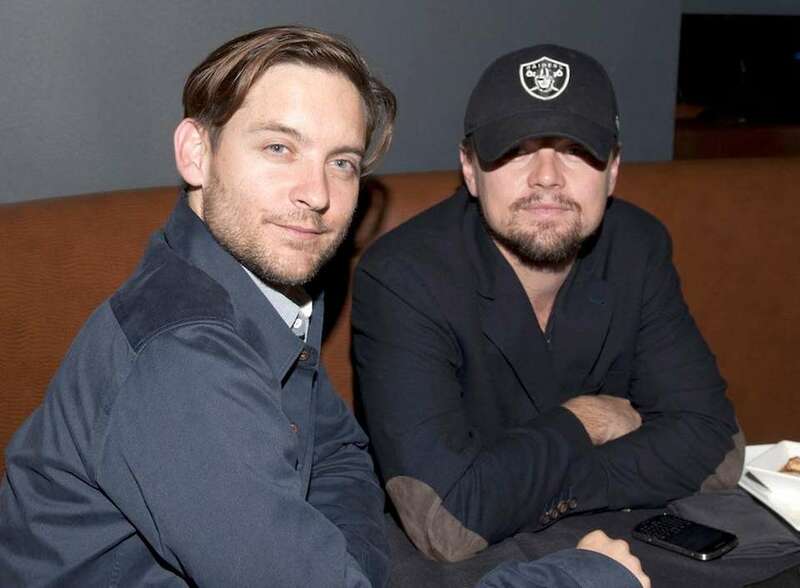 From "The Great Gatsby" to "This Boy's Life," Hollywood heartthrobs Tobey Maguire and Leonardo DiCaprio have had an inseparable bond, having been friends for more 30 years, and at one point, were even neighbors around the time they filmed "Gatsby." "We are like any other buddies," Maguire told People in a 2013 interview. "There's a lot of laughing and chatting between us. We enjoy doing a lot of things we have in common, like basketball. We like to play and talk about basketball." 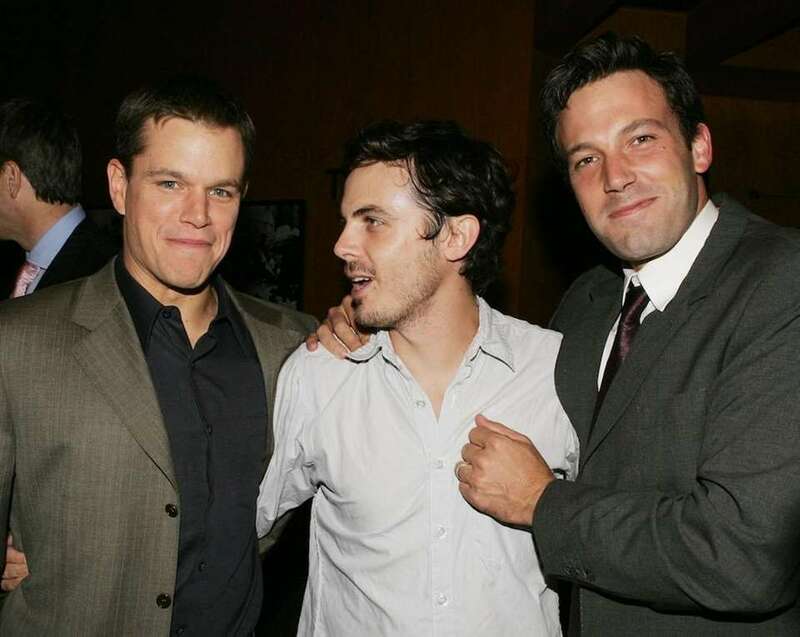 In 1997, Matt Damon, Casey Affleck and Ben Affleck starred in "Good Will Hunting." Now, 20 years later, the trio still stands: Damon, who produced "Manchester By the Sea," features a Golden Globe-winning performance by Casey. In 2012, Damon and Ben started a production company called Pearl Street Films. In addition to working on three "Twilight" films together, Kristen Stewart and Dakota Fanning played best friends in "The Runaways." In 2016, Fanning introduced Stewart at ELLE's Women in Hollywood Awards. Fanning said, "I can honestly say that my friendship with Kristen is one of the most special bonds in my life. She has held my hair back and talked me through heartbreak. She has always been there for me when I have needed her most and most of all she has taught me the power of being one hundred percent yourself, one hundred percent of the time." Australian actresses Naomi Watts and Nicole Kidman have been friends for more than 25 years. The 1991 film "Flirting" brought the pair close, establishing their bond. "We've gone through a lot together over a significant amount of time," Watts told People about her relationship with Kidman. "That history binds you ... We have a strong respect and love for one another." 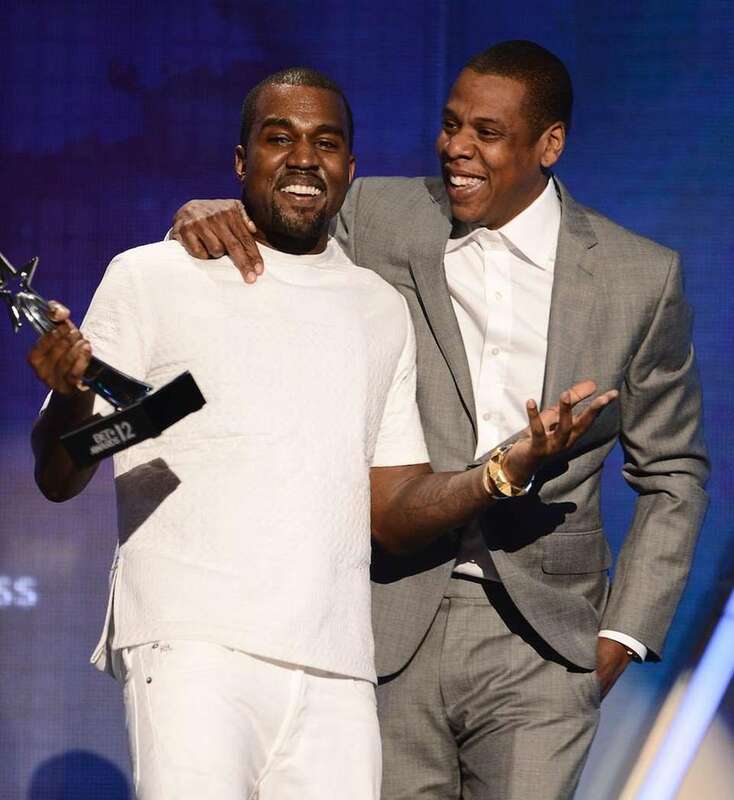 Kanye West and Jay-Z's friendship began when West was first recruited as a producer for Roc-A-Fella Records, founded by Jay-Z. In 2016, West called out Jay-Z during a concert, saying the rapper hadn't called him after his wife, Kim Kardashian West, was robbed in Paris. Jay-Z clapped back and addressed West's diva attitude with the song "Kill Jay Z" on his 2017 album "4:44." 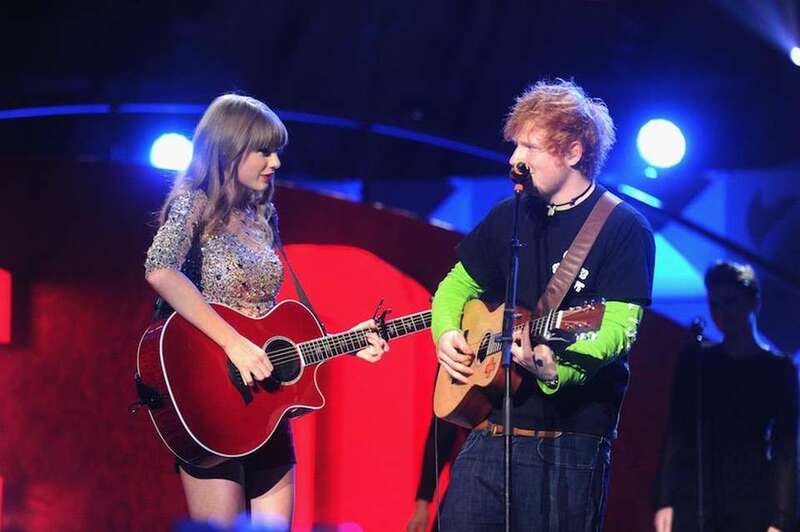 Musicians Taylor Swift and Ed Sheeran have toured and performed together (let's not forget the 2014 Victoria's Secret Fashion show!). "We've gotten matching Scottish folds, made each other arts and crafts Christmas presents, vacationed with our families, and had each other's backs," Swift told Rolling Stone in March 2017. Actresses Michelle Williams and Busy Philipps bonded on set of the '90s TV series "Dawson's Creek." In 2006, Williams attended the Oscars with her husband, Heath Ledger, and her gal pal, Philipps. Two years later, when Ledger died, Philipps was there to comfort her best friend. After almost two decades, the duo has stayed strong. Another celebrity pairing, Kim Kardashian and Paris Hilton were longtime friends (with Kardashian even working as Hilton's closet organizer) and colleagues who later disbanded. As Kardashian's popularity spiked in 2008, eventually allowing her to get her own series, "Keeping Up With the Kardashians," Hilton attacked Kardashian, declaring she made the Kardashian queen famous. Paris Hilton and Nicole Richie starred in the FOX reality series "The Simple Life" in 2003. While the show caused an alleged rift in their friendship, in 2014 Richie appeared on "What Watch Happens" and revealed her and Hilton are still "very good friends." 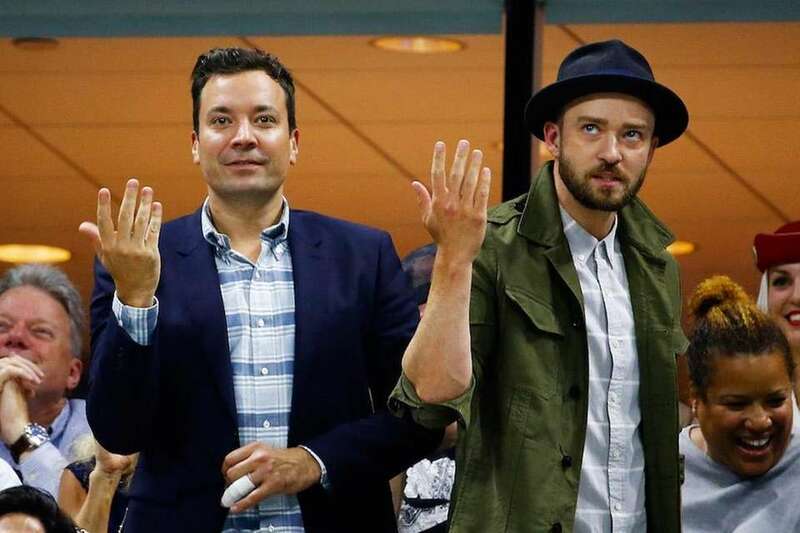 When Jimmy Fallon and Justin Timberlake aren't dancing to Beyoncé's "Single Ladies" during the national tennis tournaments (Specifically, the 2015 US Open), you can probably find them riding a tandem bike through The Hamptons. But this bromance is nothing new: In 2002, the pair comforted each other's nerves at the MTV Video Music Awards. "I remember talking backstage during those VMAs," Fallon said in an interview with GQ. "I was totally nervous and you were nervous and we both ended up having good night. We're good luck to each other--like each other's rabbit foots." Demi Lovato and Selena Gomez go way back: the duo met on the set of "Barney and Friends" and became best buds. The actresses took similar paths, breaking into acting on the Disney Channel and then later becoming musicians (Gomez released "A Year Without Rain" in 2010 and one year later, Lovato released "La La Land." Dynamic duo Justin Bieber and Usher's friendship began in Bieber's earliest years, when Usher starred in Bieber's 2008 music video for "One Time." He worked as Bieber's mentor until the artist got his place in the industry, and in 2010, the pair released "Somebody to Love." After comedic queens Tina Fey and Amy Poehler met at Chicago's Improv Olympics in 1993, they became friends and joined "Saturday Night Live" together. 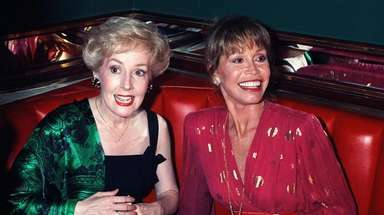 They've collaborated on movies including "Mean Girls" and "Baby Mama" and have hosted multiple award shows together, too, including the Golden Globes. 42 biggest celebrity feudsHigh-profile fights that remind us celebrities don't always play nicely. Celebrity couples you probably forgot aboutKate Hudson and Alex Rodriguez? Macauley Culkin and Mila Kunis? Niley? Some celebrity relationships come and go so quickly, it can be hard to keep track. Some are so brief, we can forget about them altogether. No worries -- we're here to remind you of all your favorite lost loves. 23 celebrities who've quit social mediaHere’s a list of celebrities who threw in the Twitter towel and gave the peace sign to Instagram at some point. Famous celebrity couples, past and presentMel Gibson and Rosalind Ross, Jessica Biel and Justin Timberlake, Blake Lively and Ryan Reynolds, and more: Here are some famous duos, past and present.